Support for nationwide network: The Obama administration is adding to its support for electric vehicle charging stations with $4.5 billion in U.S. Energy Department loan guarantees. The funds will support a commercial-scale roll out of charging stations, with federal, state and local governments partnering with automakers including Tesla, Ford, GM, and Nissan. The administration aims to complete a national network of fast-charging stations by 2020 to make “coast-to-coast, nationwide zero-emissions travel” easier for consumers. State, county and local governments will be encouraged to buy electric cars for their fleets, lowering procurement costs while expanding the market for the cars. Utilities supporting the infrastructure growth include Berkshire Hathaway Energy, Con Edison, Duke Energy, and Southern California Edison are also involved. Twelve utilities and charging companies have committed to increase their deployment of EVs and charging infrastructure. Supporting programs include DOE’s Workplace Charging Challenge and an EV “Hackathon” this fall to create new solutions for EV charging. Tesla and SolarCity merger: Tesla Motors and SolarCity negotiated into the weekend on merging the electric carmaker with the solar power company. Tesla CEO Elon Musk has recused himself from voting, serving as chair of SolarCity and working with his cousins SolarCity CEO Lyndon Rive and SolarCity board member Peter Rive, who have also recused themselves from voting. The companies are in the final stages of carrying out due diligence on each other, and could agree on the terms of a deal in the coming days, though it is still possible that their negotiations end unsuccessfully, sources said. Investors and analysts have been concerned about Tesla taking on too much investment in the solar company. Debate over agency midterm report: The 60-day comment period on midterm report has flared up debate over how realistic the 54.5 mpg by 2025 really is, being heavily weighted by a surge in light-duty vehicle sales. 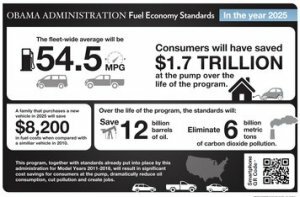 The 1,217-page draft “Technical Assessment Report” was issued on July 15 by the Environmental Protection Agency, National Highway Traffic Safety Administration, and California Air Resources Board to evaluate the status of hitting the Obama administration’s fuel economy and greenhouse gas emissions goals. The inflated sales of pickup trucks, SUVs, and crossovers coming from cheap gas prices has changed the outlook for the 2025 target closer to 51 mpg than 54.5 mpg. Master Plan, Part Deux: In a Wednesday blog post on the Tesla website, CEO Elon Musk outlined a new horizon for electrified vehicles the company will be taking on – heavy-duty trucks, pickup trucks, a small SUV, a buy-type vehicle. Musk also says Tesla will be playing into the Silicon Valley mobility company identity through rolling out autonomous vehicles and a mobile app where Tesla owners could earn income by opening up their electric cars for shared rides. “Master Plan, Part Deux” calls for an electrified future merging solar power, on-site energy storage, carsharing, and electric autonomous cars. The announcement came out in the weeks following Tesla taking heat over a fatal crash involving its Autopilot system; more criticism from Wall Street has come from Tesla missing production and sales targets and being questioned over the merger with SolarCity. ZEV sales forecasts: Navigant Research has forecasted growth in zero emission vehicles in two separate reports. The research firm expects the North American plug-in electric vehicle market to grow by around 62% year-over-year in 2016, nearing 200,000 sales. Growth is anticipated to come from expanding sales of the Tesla Model X, the second-generation Volt, and introduction of the Chevrolet Bolt, Prius Prime plug-in hybrid electric vehicle, and Mitsubishi Outlander PHEV later in the year. The report projects that the introduction of the Tesla Model 3 in late 2017 will likely boost the North American PEV market by around 60% in 2017 and then nearly double the market in 2018 after the first full year of Model 3 sales. In a second report, Navigant forecasts that global sales of hydrogen fuel cell cars and buses are expected to total more than 580,000 from 2015 to 2024. “Overall, the driver for FCV activity continues to be the sentiment that a diverse drivetrain mix will be needed if the transportation sector is to shift away from petroleum dependence,”says Lisa Jerram, principal research analyst with Navigant Research. Autonomous Facebook flights and Slurpee delivery: Pilotless drone planes are gaining more support from big names like Mark Zuckerberg and 7-Eleven. A small Facebook team has been working on a secret project – sending a high-altitude solar-powered drone plan named Aquila on test flights. The mission statement is to launch of fleet of aircraft that will deliver internet access around the world. Zuckerburg says it’s part of the company’s plan to bring the internet to all 7+ billion people on Earth. Doing so will lift millions of people out of poverty, improving education and health globally along the way, Zuckerberg says. Convenience store king 7-Eleven Inc. and tech startup Flirtey have beaten Amazon to the punch in making the first drone delivery to a customer’s home in the U.S. During the 7-Eleven delivery on July 10 in Reno, Nev., Flirtey successfully transported: Slurpees, a chicken sandwich, donuts, hot coffee, and candy to the home of the family who placed the order. Flirtey is a privately held company based in Reno, which builds and operates drones to make deliveries that are needed in humanitarian and health work, retail and food industries. JLR, Ford, and BMW in battery plant talks: Jaguar Land Rover is in talks with Ford and BMW about building a battery plant with the capacity to power several hundred thousand electric vehicles. There’s been no word over whether this plant would be based in the U.K., the U.S., Germany, or another location. The plant would help Jaguar launch its first electric vehicle, and to join other luxury carmakers in a competitive battle with Tesla Motors. Ford has been working with LG and BMW with Samsung as lithium battery suppliers. Audi EV strategy: Audi says it will be rolling out three electric models by 2020, and that electric vehicles will make up 25% to 30% of its sales by 2025, CEO Rupert Stadler told a German newspaper. It will be tied into a larger corporate strategy to focus more on resources on electric cars, digital services, and autonomous driving. The rollout of electric cars will also include small vehicles in the A-(minicar) segment. The company will also set up a subsidiary, to be called SDS Co., to develop an autonomous car. Quantum has new ownership: Quantum Fuel Systems Technologies Worldwide is emerging from its bankruptcy through acquisition by Douglas Acquisitions LLC, an affiliate of second-position secured creditors. Quantum, based in Lake Forest, Calif., had shifted its focus to selling natural gas fuel tanks in recent years. The company recently received a delisting notice from NASDAQ. Quantum filed for Chapter 11 bankruptcy protection in late March and sought a buyer through a “363” sale process, which is essentially an asset sale. The company will be renamed Quantum Fuel Systems LLC. EVs strong in used car sale days on the lot: Plug-in electric vehicles led the way in one-to-three year old used car sales during the first half of this year, according to iSeeCars.com. The fastest selling used car in the U.S. was the Toyota Prius plug-in hybrid, taking just 19.7 days to move. It was followed by the Nissan Leaf at 24.3 days and the Tesla Model S at 26.1 days. 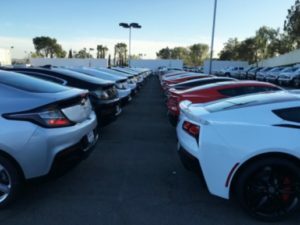 More than half of these cars were sold in California, where the diamond lane, HOV carpool lane stickers made them more attractive to used car buyers. In the not-too distant future, parking cars in crowded cities is expected to improve drastically. Self-driving cars will drop off riders and take care of the parking. Automated parking systems (APS) are starting to provide parking for cars on multiple levels stacked vertically to maximize the number of parking spaces while minimizing land usage. The problem in large cities for local residents, workers, and those attending events, is that parking is going to remain an ever-increasing problem for several years. For those ridesharing drivers picking up riders or delivering meals, parking is taking a lot of perseverance and patience, laser-focused vision, and the risk of getting a parking ticket. It can mean pulling into a red zone, blocking a driveway, or using payment cards and dropping in coins at meters. The stress level can be high, and it can be quite a relief to find out you’ve dodged another parking ticket. Part of the problem is that the cost of parking is going way up. Not that many years ago, it was shocking to find out you’d be paying $20 to park for a business meeting or social event in a big city. As for now, the average daily parking rate in midtown New York is $41, according to Bankrate. Honolulu is No. 2 at $38, followed by Boston at $34, Chicago at $32, with Los Angeles and downtown New York tied at $30 as the most expensive U.S. cities for parking costs. Metered parking cost has been shooting up, with drivers complaining about getting hijacked by a city trying to bring in more revenue through meters and parking tickets. Parking costs are on the rise in major U.S. cities as officials grapple with reduced revenue and political difficulties in raising taxes. Demand is part of it – drivers will pay more for parking when there’s absolutely nothing else available in crowded, congested cities. As I’ve discovered driving for Uber, Lyft, and Postmates (a food delivery service), finding short-term parking can be quite stressful and sometimes costly. You might pull up for the passenger pickup and there’s no place to park, and you’ll be blocking traffic on a narrow street. What are your options? Park in a red zone or driveway? Circle the block looking for a decent place to park? Another scenario is that you’ve parked on a narrow street waiting for the rider to come out, and there are cars creeping up behind you. One of the drivers honks his horn, and others join the fray. You may have to leave that spot and circle around again, or call the rider. Some riders seem perfectly comfortable making the Uber or Lyft driver wait five-to-10 minutes until they come out. Taxi drivers have been known for arriving at a home or office early and calling the rider to come out to their cab. Uber and Lyft riders are much more comfortable having the driver wait in an environment that might be tough to park and deal with the delay. It may be a generational difference for passengers – most of whom are Millennials riding with Uber and Lyft and who utilize food delivery services. The social rules of order appear to be transforming. Food delivery drivers have to include short-term parking into their cost of doing business. Mobile-app food delivery services are taking off in cities now with UberEats, DoorDash, GrubHub, Postmates, Caviar, Seamless, and other services taking off. Drivers are independent contractors and have to build the cost into the trip. 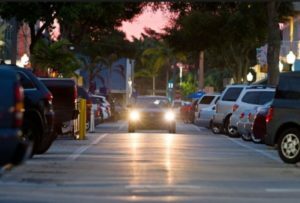 Suburban shopping malls are full of parking for drivers willing to take a long walk, but picking up meals at restaurants and stores in cities usually means looking for open metered parking spaces, or paying for parking garage fees. Some garages will allow drivers to leave the building for free if they’ve only been there less than 15 minutes. Other garages will require a payment of $2 to $5 for drivers to see that gate come up and freedom given from the parking garage – even if they’ve been there just a few minutes. Green Parking Council is supporting development of sustainable, efficient parking garages. Examples include Propark America’s green parking Canopy facility at Denver International Airport. BMW Group’s DesignWorks USA and Green Parking Council worked with Propark on setting up the Canopy garage with LED lighting, EV charging, and alternative energy applications, including geothermal. Automation Parking Systems installed an automated facility in New York City in 2007 and has been working on improvements ever since. Robotic parking pallets are able to stack cars for efficiently using parking garage space. More recently, the city of West Hollywood, Calif., opened up an automated parking garage attached to City Hall on Santa Monica Boulevard. The mission has been to remove the nuisance of driving around looking for parking. Drivers can just pull their cars into one of the small garages and the automated system does the rest. The city’s three-story automated parking garage with the capacity to house 200 cars was unveiled in May, and it marks the first municipal robot parking garage built on the West Coast. Tony Seba, a Silicon Valley entrepreneur and Stanford University lecturer, author of Clean Disruption of Energy and Transportation, and a two-time keynoter at AltCar Expo, had a few radical statements to make about the future of parking. Autonomous vehicles, along with carsharing services like Zipcar and ridesharing services like Uber and Lyft, will be game changers. Annual sales of new vehicles will shrink, highways will open up, and many of the parking spaces we have in our cities will go away. Highway capacity can be increased four times when autonomous vehicles show up on our roads; there will be no need for 80% of our parking spaces as autonomous vehicles show up exactly when and where they’re needed by the owner, Seba said. Mobile apps for parking are offering some short-term solutions. Parkmobile, ParkWhiz, ParkMe, PayByPhone, and FordPass, are among the services available in select U.S. cities. Drivers are able to rent spaces from their smartphones, and will be directed to finding the space. It takes away the hassle and frustration of trying to find a parking space on multi-story parking structure with unexpected costs appearing. Riders using Uber and Lyft will typically bring up the problem of finding and paying for parking spaces when deciding to go take the ridesharing option instead of driving. They’re also interested in having more accessible and affordable parking options for those times they will be driving and parking their own car. Parking and dealing with the stress of driving for ridesharing and food delivery services is part of my new book, Tales of UberMan: An auto journalist shares his Prius with savvy riders. You can also read about some of the trends in the marketplace and new technology innovations in the book’s blog. Top sales month ever: June saw the largest-ever total sales figure for U.S. plug-in electric vehicle sales. There were 13,772 PEVs were sold, made up of 7,678 battery electric vehicles and 6,094 plug-in hybrids. The previous record was in December 2015, when 13,274 were sold. That was nearly half the hybrid sales number, which came in at 27,679 new vehicles sold in June. The Tesla Model S came back as the number one seller at 2,800 units sold and the Model X came in at number two with 2,000 units sold (based on estimates). The Chevrolet Volt continues to do well at 1,937 units sold, up 58.1% over June 2015. The Ford Fusion Energi and Chevrolet Spark EV also had substantial increases over last year, while the Nissan Leaf was down 47.2% in sales from June 2015. Hybrid sales were down almost 10% from May, and almost 15% from June 2016. The Toyota Prius line is seeing decline, with the Prius c and Prius v both down significantly. Volkswagen is considering teaming up with an electric car battery supplier such as LG Chem or Panasonic Corp. as it emerges from the diesel-emissions scandal, according to people familiar with the matter. VW’s supervisory board also discussed investing around $1.89 billion per factory at several sites around the world. The German automaker confirmed that it’s examining options and considering multiple locations to make batteries for a sales volume of between two and three million purely electric-powered cars by 2025. Autopilot investigation: The National Highway Traffic Safety Administration is investigating a July 1 crash in Pennsylvania of a Tesla Model X to determine whether Tesla’s Autopilot function, a semi-autonomous technology that helps drivers steer and stay in lanes, was at play. NHTSA is currently probing a May 7 fatality of a Tesla Model S driver using Autopilot. Tesla said it received an automated alert from the car indicating airbags had been deployed, but never received logs containing details about the state of vehicle controls — which would indicate whether Autopilot was on or off. NHTSA said it was collecting information from state police, Tesla and the driver, Albert Scaglione of Farmington Hills, Mich. In a separate news story, the Securities and Exchange Commission is investigating whether Tesla should have disclosed the fatal May 7 accident to its investors. Automakers frustrated with ZEV credits: California is contemplating new zero emission vehicle (ZEV) requirements, making automakers frustrated with the cost and whether electric vehicle sales figures will reach the mark. 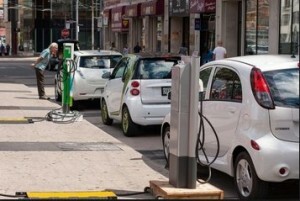 ZEV credits have been flooding the system and automakers may now be able to fulfill their requirements with as little as 6% of their fleets consisting of all-electric or fuel-cell vehicles, said Dan Sperling, founding director of the Institute of Transportation Studies at UC Davis. To bring those figures back in line, the state may increase its ZEV requirement, said Sperling, who serves on the ARB board. Automakers earn credits to reach those goals. Companies that exceed the standards, like Tesla Motors, can sell their extra credits to Honda and other carmakers that don’t. The rapid sales growth by Tesla and the increasing range of other EVs have the state contemplating new requirements. 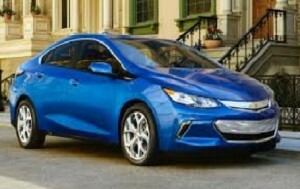 Read all about “10 States That Charge Extra Fees On Plug-in Cars” in HybridCars.com. The articles features details on programs offered in Colorado, Georgia, Idaho, Michigan, Missouri, Nebraska, North Carolina, Virginia, Washington, and Wyoming. LCFS support letter: A letter has been sent to California Senate President Pro Tem Kevin De León and Assembly Speaker Anthony Rendon by 57 producers and related business associations stating that California’s Low Carbon Fuel Standard policy is working and generating jobs. The LCFS has already helped to reduce 16.6 million tons of harmful carbon pollution, grow clean fuel use by 36%, and avoid the need for 6.6 billion gallons of petroleum, according to the group. “The more than 50 fuel producers and providers that signed this letter strongly back this policy because they know it is driving innovation and investment, and will lead California to a better transportation future,” said CALSTART President and CEO, John Boesel. Lyft may work with chauffeured service: Carey International is pursuing a partnership with Lyft that would become the first and largest alliance between a major chauffeured vehicle service and a transportation network company (TNC), according to LCT Magazine. It’s been a stunning revelation for the chauffeured transportation industry, which has been fighting Lyft and Uber in the regulatory arena over passenger safety, insurance, and duty-of-care issues. UberGreen comes to South Africa: Uber has set up a new agreement with BMW and Nissan in Johannesburg, South Africa. Called UberGreen, environmentally conscious users are able to assure that their transport car is a Nissan Leaf or BMW i3. It also provides better pay to the driver, and for now is a six week pilot project. Express Drive: General Motors and Lyft will expand their Express Drive short-term rental program to California and Colorado, building on an effort that GM President Dan Ammann said has “dramatically exceeded expectations.” It will open up first in San Francisco, Los Angeles, and Denver. It started up in Boston, and GM says that location has maxed out its available seats for drivers in under four days, suggesting there’s been strong demand wherever the partnership opens shop. Increasing EV sales: How will U.S. new vehicle sales go from less than 1% to more than 10% plug-in electric vehicle sales? Automaker speaker panelists at EVS29 in Montreal addressed the issues. 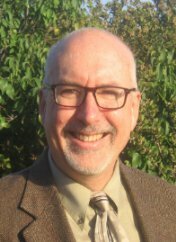 Robert Langford, American Honda Motor Co. manager of electric vehicle sales, is enthusiastic about the new products coming out of the pipeline but warns that charging stations need to be increase at multi-unit residential complexes; and that charging stations need to become more compatible. 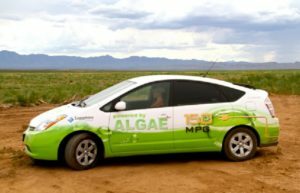 Britta Gross, director of advanced vehicle commercialization policy at General Motors thinks that automakers need to spend more on marketing to communicate the benefits of PEV ownership, whether that be by helping the planet or spending less on gasoline. If you don’t accompany in infrastructure of vehicle incentive program with an outreach campaign, you lose the battle, she said. Aaron Cohen, Audi of America’s general manager of electric vehicle strategy, thinks there needs to be coordination by key players – carmakers, electric utilities, charging companies, and federal, state and local governments. Brendan Jones, previously with Nissan and now with EVgo, talked about how challenging it can be get auto dealers and their sales consultants to spend more of their time selling EVs. Mercedes e-brand: Daimler AG is considering creating a new brand for the upcoming Mercedes electric vehicles. The report comes from German publication Handelsblatt, and coincides with what Ola Kallenius, Mercedes’ sales and marketing director in Britain, told Autocar – that the company is considering creating an eco-focused sub-brand to rival the likes of BMW’s i electric vehicle division. “The launch of the electric car brand is planned for September in Paris, where Mercedes-Benz wants to present a SUV model which is based on the current GLC model,” sources told Handelsblatt, and that it should go on sale next year. Notice on email address change for Green Auto Market: Please change your email setting to accept this newsletter from my email address jon@jonlesageconsulting.com. The previous Gmail address used in the “From” section, jlesage378@gmail.com, had to be changed over to another address on Constant Contact. That comes from a new Google policy on its Gmail service for email authentication protocol to prevent spam. North American EV sales: Navigant Research predicts a large increase in North American plug-in electric vehicle sales – 62% this year over last year, nearing 200,000 units sold. Next year will likely boost the market by around 60%, and then nearly double the market in 2018. Navigant expects it to be driven by the Tesla Model X, the second-generation Volt, Chevrolet Bolt, Prius Prime, and Mitsubishi Outlander PHEV. The boost in 2017-2018 sales is expected to come from introduction of the Tesla Model 3. Dragon Racing team: Faraday Future announced it is now the title sponsor and core technical partner to the Dragon Racing team. Under the new team name Faraday Future Dragon Racing, the partners will compete in the third season of the Formula E championship running from 2016 to 2017. After competing in Season 3, the team will start using Faraday components, which could include motors, gearboxes, and the FF Echelon Inverter, the same inverter that will be installed on every Faraday Future vehicle that comes to market in the future. Tesla chargers at gas stations: Tesla Motors will be installing charging stations at gas stations through a partnership with Sheetz gasoline. Sheetz operates hundreds of retail outlets across six states, mostly in the mid-Atlantic region. These may be Supercharger or Level 2 chargers, or a combination of both. That announcement followed a previous, recent news item about Tesla setting up a retail outlet with Nordstrom starting at a test site in Los Angeles. Following the Sheetz gas station announcement, Ruby Tuesday restaurants announced that it has begun installing a series of Tesla Supercharges at its locations along important routes across the country. The first one opened up at the Ruby Tuesday location in Miner, Miss. Vision Next 100: BMW is celebrating its 100th anniversary this year with futuristic concept cars for its BMW brand and its Rolls-Royce and Mini brands as well. All three wear the “Vision Next 100” name, referencing BMW’s intent to predict the direction car design will take over the next century. The Rolls-Royce Vision Next 100 concept is expected to combine an electric powertrain and autonomous driving with some of the British luxury carmaker’s more traditional design elements. Carbon rules for biodiesel and renewable diesel: California Air Resources Board released a set of carbon intensity pathways June 30 for biodiesel and renewable diesel pathways. It’s being certified under the readopted low carbon fuel standard (LCFS) regulation using the CA-GREET 2.0 model. These pathways include both new applications and requests to have legacy pathways, or pathways adopted under the earlier LCFS rule, recertified, according to CARB. Why ExxonMobil may be supporting carbon taxes: ExxonMobil is lobbying for a revenue-neutral carbon tax in Congress. Some of it may be coming from its transformation in recent years to being the leading producer of natural gas in the U.S.; the oil giant is in a strong position to supply more natural gas to electric utilities to help them reduce their coal consumption. It may also be related to a scandal in the past year about ExxonMobil having known about the dangers of climate change from burning fossil fuels decades ago and conspiring to keep that information from the public. BMW deal with Mobileye and Intel: BMW Group is forming a development partnership for autonomous vehicle technology with Mobileye and Intel. Mobileye is known for providing cameras, software, and other components that allow vehicles to see the world around them to a few automakers. Intel still holds the lead on the global computer-processor market, but is fairly new to automotive. Going this route will make it more competitive with Silicon Valley competitors Google and Apple. The fatality of a driver in a Tesla Model S with Autopilot is being described as the very first casualty from an autonomous vehicle technology. Here are details from the incident and where this may lead in the near future..…….. The crash took place on May 7 in Williston, Fla., but wasn’t in the public spotlight until June 30 when the National Highway Traffic Safety Administration said preliminary reports indicated that the crash occurred when a tractor-trailer made a left turn in front of the Tesla, and the car failed to apply the brakes. The 2015 Tesla Model S sedan crashed in northern Florida into a truck that was turning left in front of it on a double-lane highway. The Tesla didn’t stop, hitting the trailer and traveling under it. The Tesla then ran off the road, hitting a fence and a power pole before coming to a stop. It is the first known fatal accident involving a vehicle being driven by itself by means of sophisticated computer software, sensors, cameras and radar. Federal regulators, who are in the early stages of setting guidelines for autonomous vehicles, have opened a formal investigation into the incident. The Florida Highway Patrol identified the Tesla driver who was killed as Joshua Brown, 40, of Canton, Ohio. He was a former Navy SEAL known for dismantling bombs for the Navy during the Iraq war, then coming home to start his own company to extend internet service into rural America. He loved his Model S so much he nicknamed it “Tessy.” He celebrated the Autopilot feature that made it possible for him to cruise the highways, making YouTube videos of himself driving hands-free. In the first nine months he owned it, Brown put more than 45,000 miles on the car. In a YouTube video that Brown posted a month before the fatal crash showing the technology saving him from another collision and wrote that he was “very impressed. “Tessy did great. I have done a lot of testing with the sensors in the car and the software capabilities,” Brown wrote on April 5 in comments posted with the 41-second video. A digital video disc player was found in the Model S after the crash, the Florida Highway Patrol officials said on Friday. Whether the portable DVD player was operating at the time of the crash has not been determined. Witnesses who came upon the wreckage gave differing accounts on Friday about whether the player was showing a movie. The 62-year-old driver of the tractor trailer, Frank Baressi, told the Associated Press that the Tesla was driving so quickly that it “went so fast through my trailer I didn’t see him.” Combined with the alleged high rate of speed the Model S was traveling, Baressi told the AP that he witnessed the Tesla “playing Harry Potter on the TV screen” though he acknowledged that he only heard the movie and couldn’t see it. “It was still playing when he died and snapped a telephone pole a quarter mile down the road,” Baressi said to AP. One driver on the Florida highway said that right before the crash, the Model S was driving well over the speed limit, according to a local resident interviewed during a TV news report who had spoken to the witness. Evidence from the crash will take NHTSA several weeks to issue a statement. NHTSA’s Office of Defects Investigation will examine the design and performance of the automated driving systems in use at the time of the crash. During the preliminary investigation, NHTSA will gather additional data regarding this incident and other information regarding the automated driving systems. “The opening of the Preliminary Evaluation should not be construed as a finding that the Office of Defects Investigation believes there is either a presence or absence of a defect in the subject vehicles,” NHTSA said in a statement. The federal government is expected to release its national guidelines for autonomous vehicles this month, and will likely acknowledge the NHTSA investigation of the Tesla crash. Speaking last month at a telematics conference in Novi, Mich., Mark Rosekind, head of NHTSA, expressed concern over how much is really known about the safety of autonomous vehicle technology. “We need new safety metrics,” Rosekind said. “We also are going to have to broaden our view on the data sources for what those metrics might be. We have laboratory work. We have simulations and real world data.” The industry and regulators don’t know everything they don’t know about the safety of the most advanced autonomous technologies, he said. Google has collected a lot of data from its self-driving car test runs in recent years. Its self-driving test cars have been in several minor collisions, but on the receiving end. Earlier this year, Google filed a California DMV accident report confirming that one of its autonomous vehicles (a Lexus RX450h) collided with a bus in Mountain View, Calif. The vehicle and its test driver incorrectly assumed that a bus approaching from behind would slow or stop to let the car through. The Lexus smacked into the side of the bus at low speed, damaging its front fender, wheel and sensor in the process. It was a minor incident with no injuries. Google test cars primarily use a laser system known as Lidar (light detection and ranging), a spinning range-finding unit on top of the car that creates a detailed map of the car’s surroundings as it moves. Lidar is also used now on many of the experimental autonomous vehicles being developed by Nissan, BMW, Apple and others, but not by Tesla. 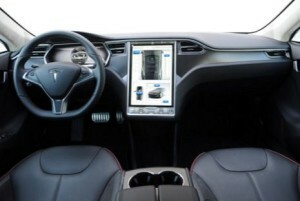 The Tesla uses a computer vision-based vehicle detection system, but according to the company, it is not intended to be used hands-free and parts of the system are unfinished. Some experts speculate that a Lidar-driven car might have avoided this fatal crash. Safety of vehicle drivers and passengers, and pedestrians and bicyclists, have been the core issue behind allowing autonomous vehicles to be tested, and eventually to roll out, on U.S. roads. The Nevada Department of Motor Vehicles made that very clear when the state adopted the nation’s first permission and guidelines for testing self-driving cars on its roads. Google and other companies have emphasized that issue more than any other reasons for investing in the technology. The Tesla fatality will heighten the debates – over whether cars should be fully autonomous as Google advocates, or they should have allowances for humans to take over in emergencies as the California DMV and others have expressed. NHTSA just released a statistical projection of traffic fatalities for 2015, which estimates that 35,200 people died in motor vehicle traffic crashes. That’s an increase of about 7.7% as compared to the 32,675 fatalities reported in 2014. It would will mark the highest level of fatalities since 2008, which saw 37,423 fatalities. This data will likely affect the debate even more. Tesla just announced it will be releasing this month its Autopilot software version 8.0. That was in the works long before reporting of the investigation of the fatal crash, but the company says the update is the most important to its touchscreen since the launch of the Model S in 2012 and features significant improvements to the Autopilot. It will allow for improvements in the general Autopilot experience in traffic, but more significantly, it will introduce automatic off-ramp in exits on the highway, Tesla says.